Hellenic College Holy Cross offers a Christ-centered community life that enhances the intellectual, moral, and spiritual lives of students, who will become the next generation of leaders for the Church and the world at large. Here, students do not learn Orthodox Christian theology only in the classroom. They also put theology into practice in the Chapel, campus housing, the cafeteria, the athletic field, and as volunteers in the community. HCHC provides the experience of living in an Orthodox Christian community, which helps to develop service-oriented leaders for our Church and our society. The Office of Student Life (OSL) serves the HCHC community in many capacities and supports student initiatives for improving community life. The OSL also assists students and their families with problems for which they have been unable to find adequate resolutions elsewhere. The Dean of Students oversees all student organizations and activities, including the Student Government Association (SGA), Campus Activities Board (CAB), New Student Orientation, the Synaxis (gathering of the student body) community events, guest speakers, retreats, and diakonia (community service) assignments. It also ministers to the special needs of individual students and their families and is responsible for administering disciplinary procedures. SERVE BY LEADING. LEAD BY SERVING. The SGA is the official representative body of HCHC students. Its aim is to strengthen religious, intellectual, and social responsibilities as well as to serve as the voice of the student body. Download the SGA Constitution to learn more. CAB provides a variety of events that support fellowship and community. Ideal for students of all ages, CAB’s main events include the Fall and Spring Panigiris, Annual Fall Fest, Awards Night, Boat Cruise, and the Community Graduation Dinner Dance, among others. The St. Romanos the Melodist Byzantine Choir is a vocal ensemble of students and alumni of Hellenic College Holy Cross. The choir regularly performs in liturgical services as well as at concerts, conferences, lectures, fundraising events, state and national holiday celebrations, and school ceremonies. In addition to Byzantine chant, its repertoire includes Greek folk music, popular and art songs, and modern English adaptations and original settings of sacred texts. The Missions Committee promotes a missionary consciousness at HCHC. Its intent is to increase the awareness of missions as a central part of our lives as Orthodox Christians and to expose our students to the work of Orthodox missionaries worldwide. The Committee promotes participation in and support for international and domestic cross-cultural missions. 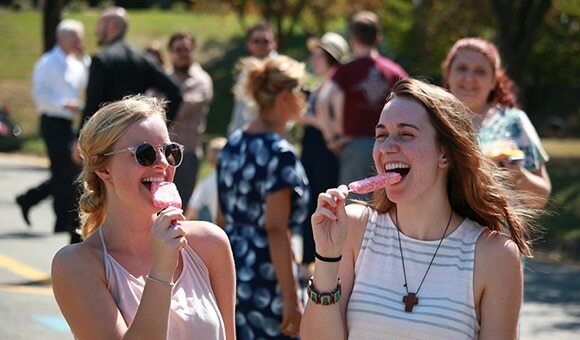 Its activities include an annual fall Missions Week and Lecture, regular meetings, and group involvement in short-term mission trips during spring break or over the summer. The MSA was formed to address the unique social, spiritual, physical, and emotional needs of families on campus. It provides a forum for growth and support through educational presentations and discussions, including workshops, lectures, and retreats led by experienced clergy, lay leaders, and professionals. 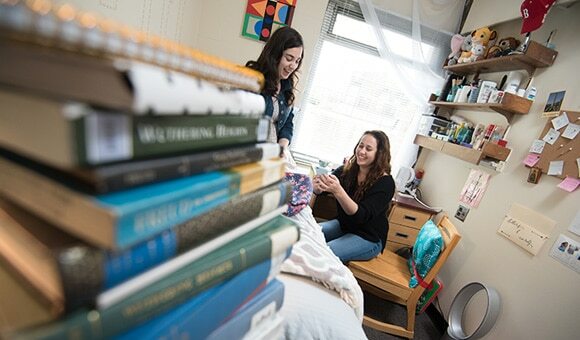 HCHC offers private dorm rooms to all single students who choose to live on campus. Communal lounges with couches and televisions, a study room, a rec room with pool and ping-pong tables, a kitchenette and seating area, and laundry facilities are shared by all students. Additionally, the St. John the Theologian Chapel, located on the third floor, offers a quiet space for prayerful devotion and for small groups to gather for a Compline or Akathist service. About one quarter of the students at HCHC are married, and most of these families live on campus. HCHC strives to provide a warm and supportive environment to help these families face the challenges of college and seminary life. One, two, and three-bedroom apartments are available for married students on a first-come, first-serve basis. Family size is taken into account when determining housing assignments. The Condakes Refectory, the main dining hall on campus, is a warm, friendly dining space for students, faculty, staff, and visitors to enjoy delicious food prepared by Chartwells. The cafeteria features a full self-service salad bar, a variety of fresh fruits, and different food stations, such as a “greens and grains” station and a pizza station. In addition, the cafeteria offers the option to create your own sandwich or panini, using an assortment of breads, sandwich meats, cheeses, and other toppings. Sodas, juices, hot coffee, and fruit-infused waters are also available. During fasting periods in the Orthodox Church, Chartwells prepares and serves meat-free, dairy-free, and oil-free options. The Condakes Refectory is open from 8:30 a.m. to 7:00 p.m. on weekdays and 11:30 a.m. to 7:00 p.m. on weekends, holidays, and snow days. Complimentary hot and cold beverages are available during these hours. Named in honor of donors John and Thomas Pappas, the gymnasium houses a basketball court, two racquetball courts, and a state-of-the-art fitness center donated by the Archbishop Iakovos Leadership 100 Fund, Inc. The gymnasium is open to HCHC students, as well as students from neighboring colleges, and is host to a variety of intramural and NCAA Division III athletic events. The Office of Spiritual Formation and Counseling Services supports the mission of Hellenic College Holy Cross by nurturing the spiritual development and psychological well-being of all students and their families. The Pastoral Care Director works in conjunction with school counselors to oversee and coordinate services, which include the Spiritual Fathers program, spiritual and psychological assessments, and counseling and referrals. Students and their families are invited to use these resources to define goals, develop strategies for change, and realize a greater understanding of self and others. Counselors are available to listen and offer guidance and support as students work to resolve personal concerns and seek out ways to achieve a greater sense of wellness. The Office is committed to an integration of theology and psychology and is sensitive to cultural and ethnic issues. The great wide world lies just beyond our beautiful campus. HCHC is situated on a prominent hill with a magnificent view of Boston, which literally lies before you and beckons you to come and explore. 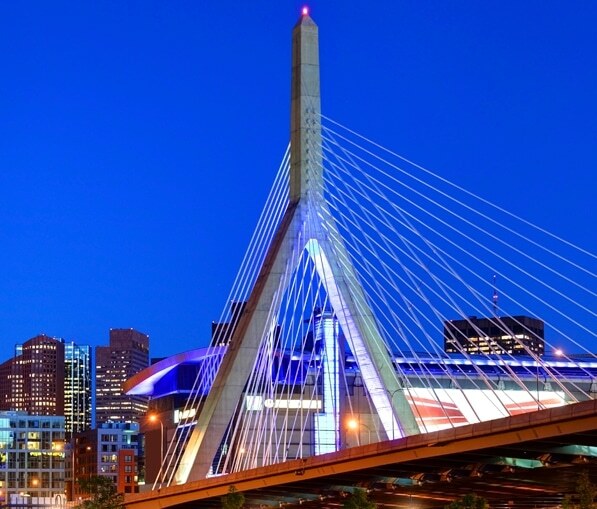 Once dubbed the “Hub of the Universe” by the intellectuals and pedigreed families of the nineteenth century, Boston remains a center of great cultural, intellectual, and commercial activity unparalleled for a city of its size. It will charm you with its elegant architecture and lovely public spaces from the Colonial and Victorian periods, and it will amaze you with its vitality, as it is a modern city on the forefront of global innovation in medicine, technology, and finance. What better place to study? It is no wonder that each September the population of Greater Boston swells by some 200,000 students. Our campus is just minutes from the city center, world-class museums, musical performances of all genres, a vibrant theater district, diverse ethnic cuisines, lively neighborhoods, and the homes of legendary professional sports teams. New England’s historic villages, pristine conservation areas, rugged mountains, and inviting coastline are all within easy driving distance for year-round outdoor activities.